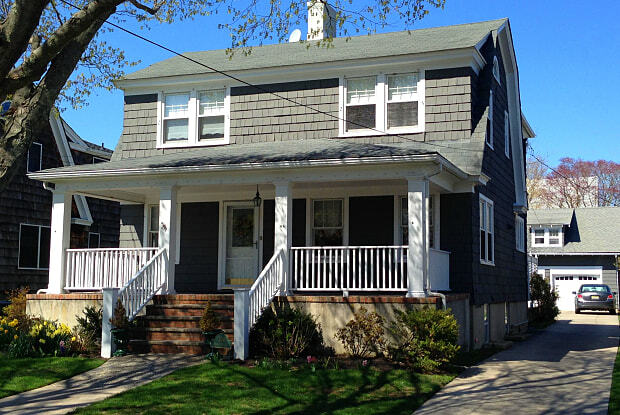 Comfortable traditional Spring Lake colonial in great location available for annual or multi-year rental. Large LR with fireplace, dining room, eat-in kitchen, family room and full bath on first floor. (Family room could be large first floor BR.) Sunny private deck and breezy front porch. 4 bedrooms and full bath upstairs. Hardwood floors in most rooms. 2 zone central air, and gas HWBB heat. Superb public schools and half a block to St. Catharine's School. Three short blocks to South End Pavilion and beach and 2 blocks to Wreck Pond. Freshly painted and available for 6/1 occupancy. Tenant occupied. Have a question for 304 Salem Avenue?